Maybe I've been looking at Pinterest for too long, or maybe I'm inspired by my recent consignment finds, but I'm feeling crafty. Keeping in the spirit of my recent consignment craze, I meandered on into the Habitat for Humanity Re-Store in Matthews to see what hidden treasures I could transform. And what do ya know, the right side of my brain kicked in to high gear, and instead of seeing broken chairs, battered bookshelves and busted windowpanes, I felt a DIY comin' on. 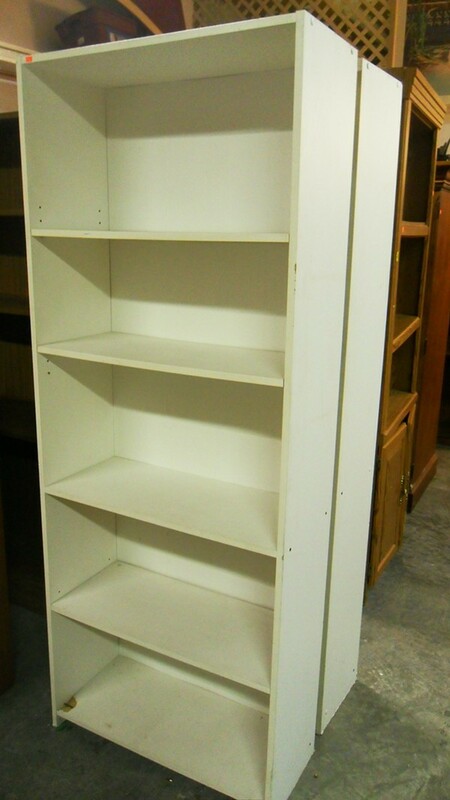 Makeover 1: You see a bookcase, I see a mini bar. Tomato, tomahto. I understand: you need a way to make your drinking habit look classy and understated. My suggestion is spray painting the entire bookcase black, because everyone knows black makes anything instantly chic. And smaller. Deconstruct a little and move things around. Try removing the top shelf and placing a mirror against the back wall, filling the void and creating depth. This new large shelf can be a place to display your bottles (or your empty bottles, so you can pretend to do something artsy with those, too.) Choose a patterned fabric to make a small curtain to cover the bottom shelf, where you can hide supplies and essentials. The two middle shelves are the perfect place to display your glassware on serving trays, or line the shelf with patterned scarves. Or your shot glass collection. Whatever. Don't read enough books to fill your bookcase (or your head?) Turn it into a desk. If you remove a low shelf, you can add a sheet of wood to stick out and attach two table legs to the underside. You'll have a new surface sticking out of your shelf, and a new place to pile crap on top of. For step-by-step instructions, check out this link. Makeover 1: You ombre your hair, why not ombre your chair?! The ombre trend is so hot right now that I totally support turning your furniture into a homage to Lauren Conrad's locks. It's a sophisticated version of tye-dye; stick with a color scheme such as black, gray and white. Start at the top and spray-paint each color, letting each one fade into the next in a light-to-dark gradient. You'll have a perfect new surface to throw your Louboutins on after a long day of reality television filming and promoting your new book. Here are some instructions on how to ombre your chair. Instructions on how to become as fabulous as LC not included. Safety first! If the seat is busted, like the one I found, rip out the rest of the wicker and buy nylon webbing strips (the stuff seatbelts are made out of.) You can weave strips under and over to make a new, durable seat. Pimp out your chair by securing the strips with nickel-plated steel thumbtacks around the perimeter to keep it lookin' fresh. Not your style? 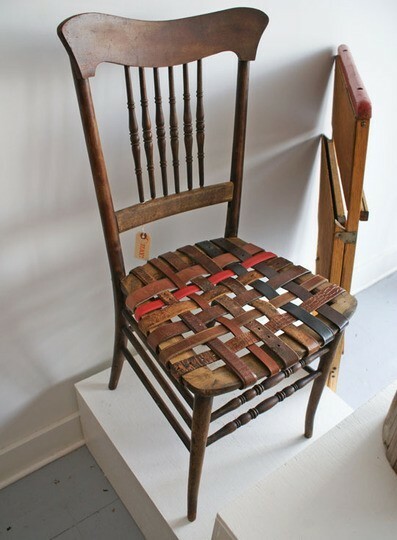 Instead of using nylon webbing strips, like above, give your chair a vintage vibe by using old leather belts. 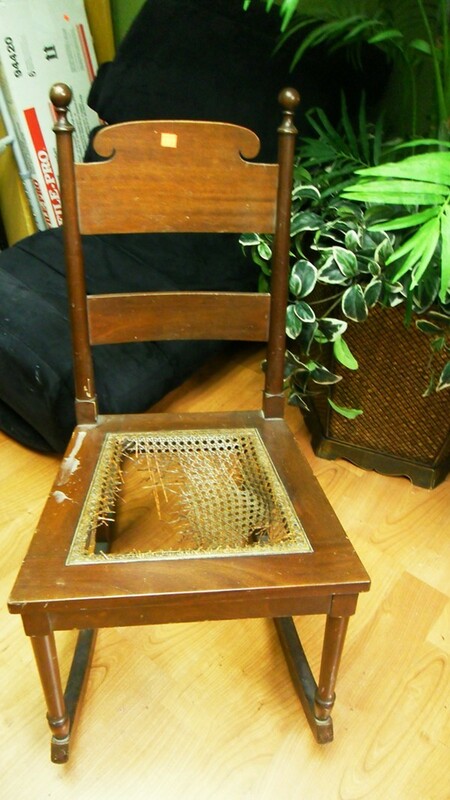 Weave different widths and colors, then secure under the chair with a staple gun. Even better: now you no longer have to feel bad that you're too big for your belt. Your jewelry deserves to be on display, even if they're not the Crown Jewels. 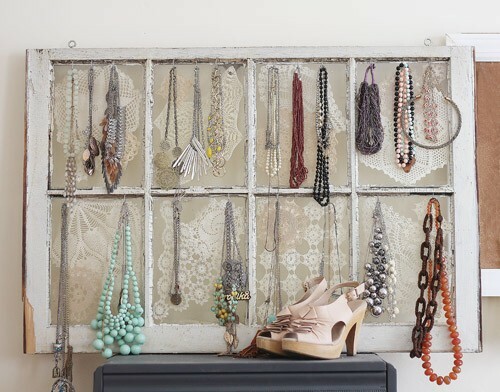 Hammer some hooks in to the wooden frame at different intervals, or buy different delicate doorknobs to up the glam factor. Hang a lace curtain on the other side of the window, so it peeks through the glass and creates a pretty display for your baubles. You might not have an intern to fetch you your coffee in the morning, but you can feel like a boss with your feet propped up on your new coffee table. 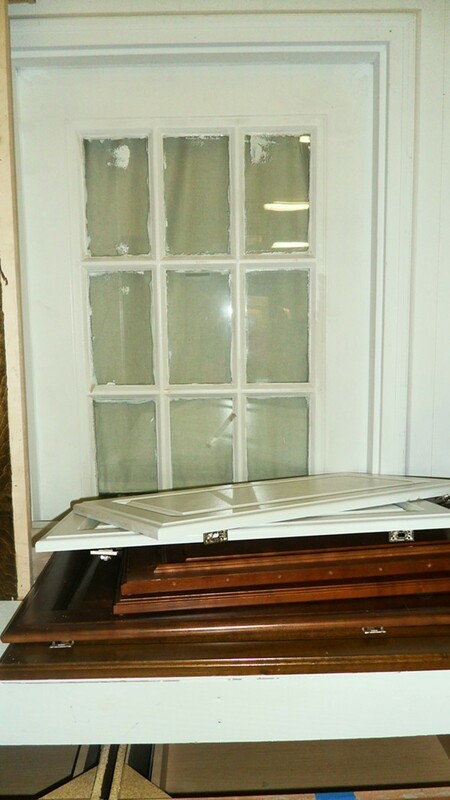 Try turning the window horizontally and buying some chair legs to attach to the bottom. Ta-da! With all the money you save on this project, go buy yourself a second cup.